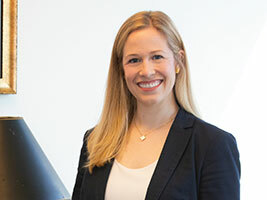 Kate Henderson focuses her practice on public finance and local government law, primarily representing municipal utility districts as general counsel and bond counsel. She also represents real estate developers in the formation of special districts and in matters relating to special districts. Prior to joining Schwartz, Page & Harding, L.L.P., Kate was an associate in the finance and banking section at Winstead PC in Houston. During her time there, Kate represented lenders and administrative agents in connection with the planning, negotiation, and documentation of syndicated credit facilities, real estate secured loans, equipment loans, and commercial and industrial credit facilities. A native Houstonian, Kate is licensed to practice law in all Texas state courts.